Leon is a small city with just over 100 000 residents. It is located about 100 km north of Managua. The city has become very popular among tourist and has won prices as the best city in the world to retire in. This has attracted a lot of expats that have retired or opened businesses in Leon. The selection of hotels and restaurants in Leon is a lot larger then it used to be just a few years ago. The popular beach destination of Las Penitas is located 20 km outside Leon. The current city of Leon is the second city in Nicaragua to bear this name. The first city of Leon was founded in 1524. This city was destroyed by a volcanic eruption and accompanying earthquakes. The city was abandoned in 1610 and the city we now know as Leon was formed instead. The old city is known as Leon Viejo and has been excavated. You can visit the ruins of the city that are located less than an hour from the current city. 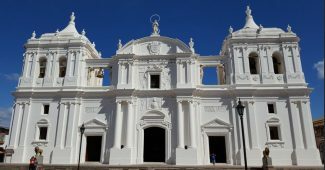 Leon has played a very important role in the history of Nicaragua and its revolutions. Nicaraguan president Anastasio Somoza García, by many considered a dictator, was shoot to death in Leon in 1956. 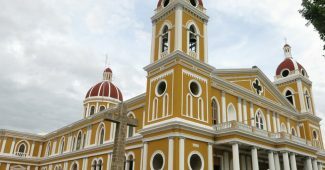 The easiest way to get to Leon is to fly into Managua. 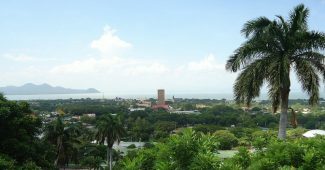 You can read more about how to get to Managua here. Once you get to Managua it is easy to get to Leon. You can choose to use a taxi, a shuttle, a microbus or a regular bus. Using athe taxi is the most convinient but also the most expensive option. Taking a taxi from Managua to Leon, a 90-minute drive, will cost you about USD 70. Most taxis will ask for more and you are expected to haggle. If the first Taxi turns you down at USD 70 then talk to another. It should not be hard to find one that is willing to do the trip for that price. If you find it hard to do so then exit the airport since the people inside tries to take advantage of tourists and try to keep the prices above market rate. The price is per car, not per person. Up to 3 people should travel at the same price. 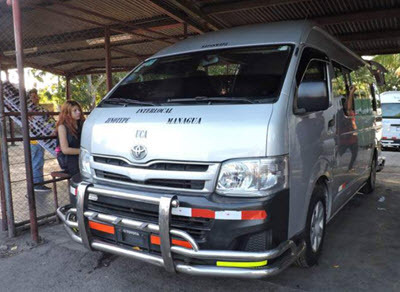 Using a shuttle; There are a number of shuttle services that drives between Managua and Leon. You often have to book them in advance. How much it cost to use a shuttle depends on how many people are going that day. It can sometimes be cheaper to use a taxi then a shuttle. Microbuses: The microbuses are small buses that run directly between different cities. Most of them have air conditioning. These buses are decently comfortable and very cheap to use. You pay Less than USD 3 to go between Managua and Leon. Taking a Taxi from the airport to where the microbusinesses leave should cost about USD 3 (100 Cordoba) for two people. The microbuses are very popular and they leave when they are full. There is often a line to the bus and you might have to stand in line for almost an hour before you are able to get on a bus. Regular buses: Regular buses are the cheapest way to travel in Nicaragua. It cost less than 50 cents to go from Managua to Leon. The buses are often very full. They are often referred to as chicken buses. They make a lot of stops and it takes a long time to get to your destination. They are one of the most authentic ways to travel in Nicaragua. I do however not recommend you use these buses when traveling with your luggage. Leon has a large selection of hotels to choose from. There are no chain hotels in the city. All hotels are independent. The one exception from this rule is Best Western in Central Leon. This is, however, a franchise hotel and has little in common with most other Best Western hotels. The hotels is a low standard hotel that is expensive for what they offer. They are however located in a very good spot next to the central plaza and the location alone can be worth the price they charge. There are no high-end hotels in Leon. There are a few hotels that try to purvey themselves as high-end hotels but they do not reach a level that most international travelers would consider high-end. They are often located in a nice building but the rooms and the service is lacking. Chose a hotel that suits your budget and your preferences. The city has a large selection of restaurants. A large number of restaurants are operated by Europeans and American expats that have moved to the city. You can find any type of food in the city including some international chains such as Pizza huts and MacDonalds. We recommend that you try El Carnivore in Leon or Mi Ranchito del Mar in Las Penitas. Leon is a safe city. So is the beach community of Las Penitas and Poneloya. It is safe to walk alone at night. Robberies do happen but they are rare. Use common sense and you should be okay. Leon offers a lot to do. 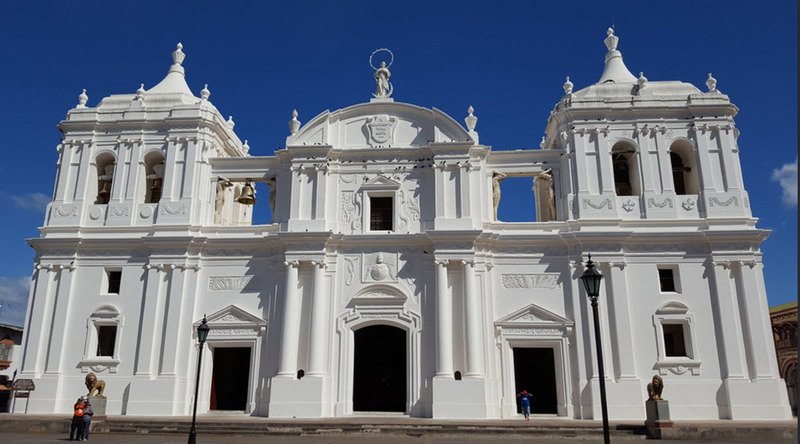 The city feature a number of large very old churches and other colonial buildings. The City also features a number of museums such as the insect museum, the myths and legends museum, and the art museum. 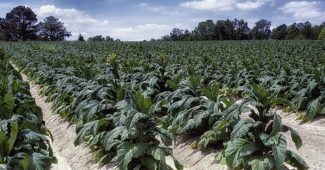 We also recommend a visit to old Leon. Outside the city, there are a number of other things to see and do. The area is famous for volcano boarding. Volcano boarding is snowboarding down a volcano on the volcanic sand. 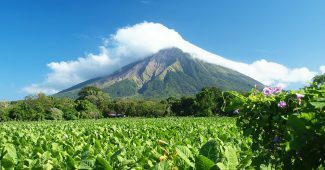 Several companies offer day and two-day tours to the volcanoes. You can also choose to go to the hot springs in San Hyacintho. Bubbling mud springs. 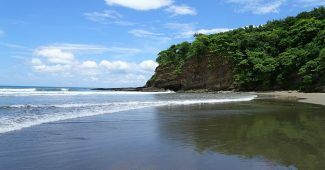 If beaches and surfing is more your thing then you can visit the beach communities of Las Penitas and Poneloyas.